For my birthday, one of my presents is something I have wanted for a long time: the bird feeder you see in the photos. My daughter worked on it while trying to keep me from seeing it which was tricky as we visit back and forth often. It is the coolest!! I can hardly wait to see the birdies flock to enjoy it. The directions on how to make your very own is given in this article. Use of terra cotta pots has become a way that many have chosen to express their creativity. 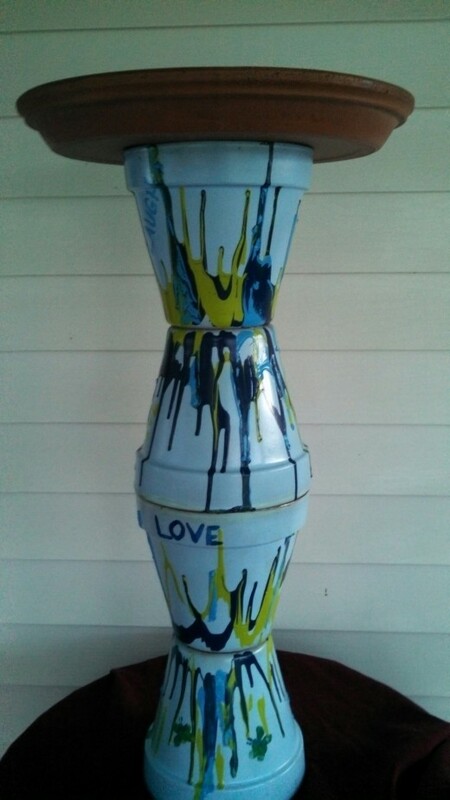 There are many ways to paint or cover them to turn them into attractive and unusual gifts or décor for your home. Years ago, back in the 90s in fact, I began making DIY creations using terra cotta pots. They were rarely seen at that time. Since then, they have become a common sight on the internet and in stores. 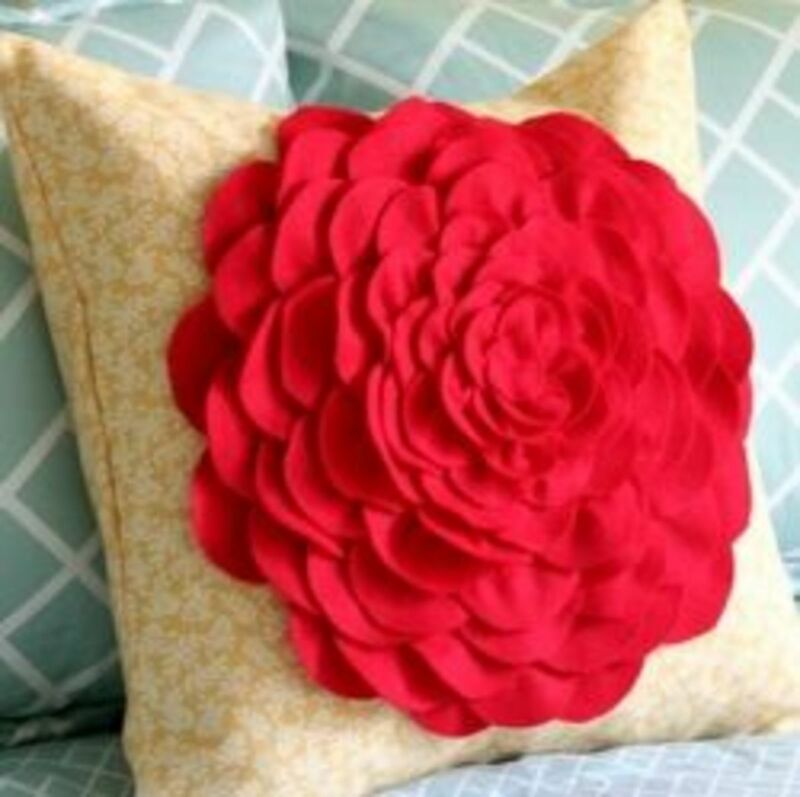 Making your own, produces a gift or décor for your home that is from your heart. And they will outshine most you can find in any store. Go to Pinterest and Youtube to find these and so many other really clever idea. These pots can be expensive. Watch for them to go on sale. Another way to cut down on the expense is to watch for them at yard sales and flea markets. Sometimes you can find used ones for a fraction of the cost of the ones in the store. Often they are not clean when you buy them second hand. But it is easy to wash them and reuse them. Just be certain that you allow them to dry thoroughly before painting. »Work in a well-ventilated area; outside is best. Paint each pot with your flat paint. Two coats is best. Invert the pots. And drip one color of paint down the sides of each pot. After you have allowed the first color to dry, repeat using a second color, and a third or fourth if desired. The idea is to have enough paint so that it ‘runs’ down the side of the pot giving the effect shown in the photos. After all layers of paint are thoroughly dry, 24 hours is recommended, spray with acrylic spray and let dry. Then connect pots using the arrangement shown in the photo. Use epoxy to insure the pots are well glued. 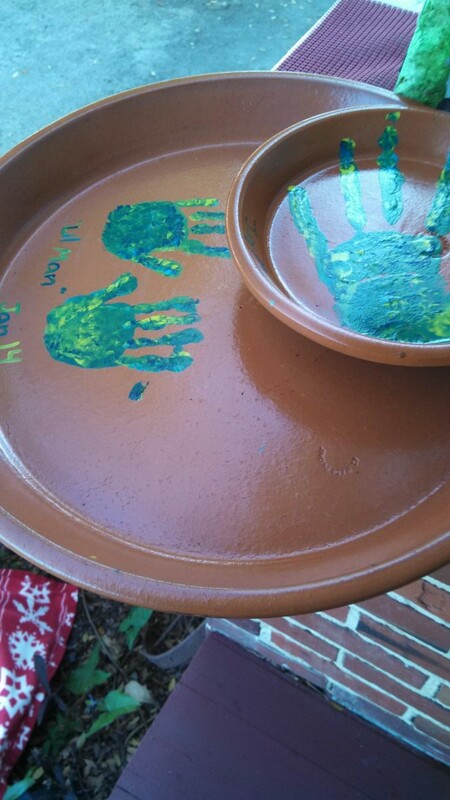 Have your children dip their hands in paint and make a hand print in the saucers. Then write (or have children) write their names and the date in the saucer as well. To make the little abstract butterflies on the side of the pot, YOU dip your thumbs and pinkie fingers in paint and then press on the pot. 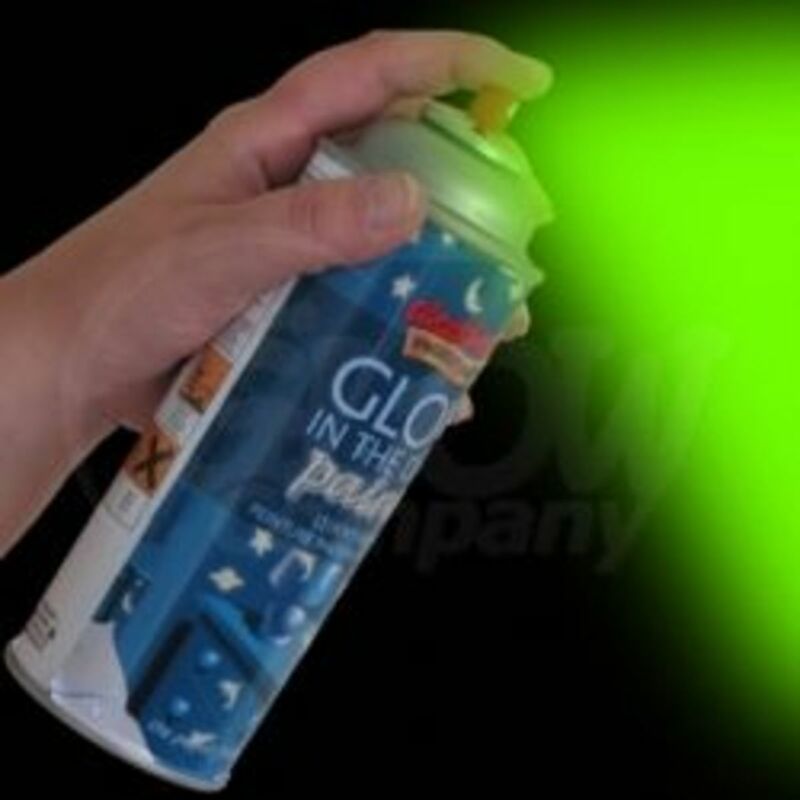 Spray well with acrylic spray. Connect the small saucer to the large one using epoxy. These saucers will hold your birdseed and water for visiting birds. Allow both the pots and the saucers to dry for another 24 hours to set the epoxy well. Has reading this inspired the creative YOU to decorate a bird feeder for your yard? There is no wrong way to do this. Let your imagination run wild. Be as conservative or as whimsical as you dare. Perhaps make it a family project. Voila…you have an imaginative bird feeder for your yard or for a gift. Use larger pots if desired. Paint in whatever design you prefer. Choose to paint the saucers too if you wish. Most important of all...have fun!! 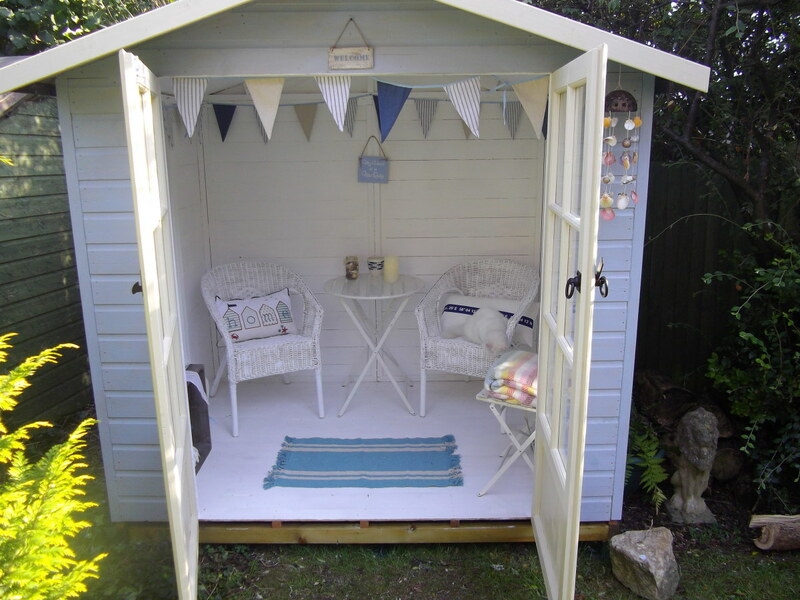 How to Create a Beach hut Themed Summerhouse in Your Garden or Yard. Yes they are busy with their families for sure AuFait. This is a project that can be completed in a short period of time and designed however we wish. This would be a great addition to anyone's back yard. Hope all is well with you and yours . . .
Hi Patsybell I am not the clever one who created this but do hope to give it a try. My daughter made this for me and it is lovely in the yard. Thanks for visiting ....please read the comment I shared with Poetry man to explain my long delay in answering. Thanks for visiting AuFait. I have just given it a special spot in my new yard. It is still as gorgeous as it was when I received it. I hope to add more of them to the yard. I love the birdies and do what I can to help feed them and their babies. I just watched a Momma and Poppa osprey as they gave birth and raised their young ones. How fascinating that was!!! How fun. You are very clever. I would like one of these in my herb garden. Voted up as crafty. 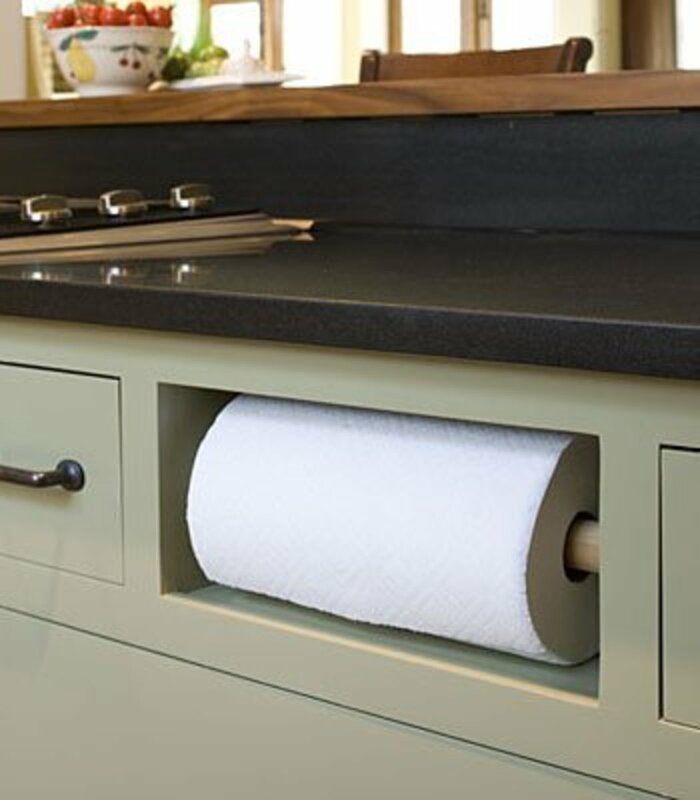 This will keep the rugs rats involved and busy with something that is not electronic. Which is a good thing! At first, I did not recognize what the constituent parts were. Then I saw the pots. This is the time of year when the birds need our help the most, when they have all those little mouths to feed. I know lots of people think it's in winter when food is a little more scarce, but I've read bird experts say they have only themselves to look after in winter, but it can get pretty hectic and difficult when they're raising their brood. A great craft idea. Sharing again with followers and pinned again to AH. No doubt that you and your granddaughter will enjoy making these together, Sheila. They lend themselves to you being as totally creative as you wish. Terra cotta pots are so versatile! This is a great idea! Our youngest granddaughter, that lives with us loves to watch the birds. This would be a great craft idea for us to do together! yes it is...and while I do not take credit for this one my daughter taught me so well that I do believe I can make some that are cute like hers but maybe for potting plants. Yes the little and the large terra cotta pots are so versatile...the sky is the limit for their use. Birdies have already begun to dine at the feeder shown.....and I love it. I have some spare terra cotta pots sitting around doing nothing. This is a really cute craft project. I like the abstract art, too. These pots can be so handy can't they? It's that time of year again too, when the birds are building their nests and making families. This is when they need our help the most -- when they are trying to feed all those mouths. Lots of readily available food and fresh water and they are in bird heaven. I miss all my wild pets, birds, possums, squirrels, raccoons and all. Voted up, BUI, pinned to Awesome Hubpages, and shared with followers. It is indeed. My daughter is so clever when it comes to crafts. I adore this. And it years later and it is still as lovely as it was when she first gave it to me. What an awesome craft idea and beautiful garden decoration, as well as a great birdfeeder. I am so appreciative when Peggy and others share. This is a favorite hub of mine. I was so thrilled when my daughter gave this to me. O, Ologsinquito, I had to chuckle at your comment. You, no doubt, have hidden talents just waiting to be discovered. Thank you Peggy. I adore it. It looks like brand new and I have had it out in the elements for a year now. So my daughter 'done good' in preparing it for Florida's weather. These are really beautiful. I am always amazed at what some people can do with different materials, as I don't have a crafty bone in my body. What a neat idea, and a fun craft project! Thanks to Peggy for sharing this hub. I love this and will make a bird bath for our feathered friends. What an eye-catching pretty bird feeder. Thanks for all of the instructions on how to make one of these. Pinning to my crafts board and will give it a tweet, G+ and share to HP as well. The hand prints and finger prints make it really special! Wishing for you a wonderful day today Patricia surrounded by angels. I still adore it as much as when I first posted this. And the lovely thing about it is that when the birdies are not around it still adorns the outside areas nicely. wow, a simple bird feeder, too bad, our residence area have too many crows. You are so right. That is the beauty of this craft idea. You can easily make it your own. Thank you for stopping by....maybe you will have a chance to make yourself one or to make one for your family, Mona. How sweet of you to say, Rebecca. I really am not nearly as creative as she is. She just has the gift for coming up with lovely and useful things for us. Thanks for your kind words, Audrey. It is a lovely piece of lawn décor as well as a great place for the birdies to munch and bathe. So nice to have you stop by. Thanks Mary...the birdies love it...they seem to know they are out of reach of my Honeybee kitty. Although, truth be told, Honeybee is not too interested in bird hunting at her age. This is a very creative idea. You can basically paint them and style them to look anyway you want. 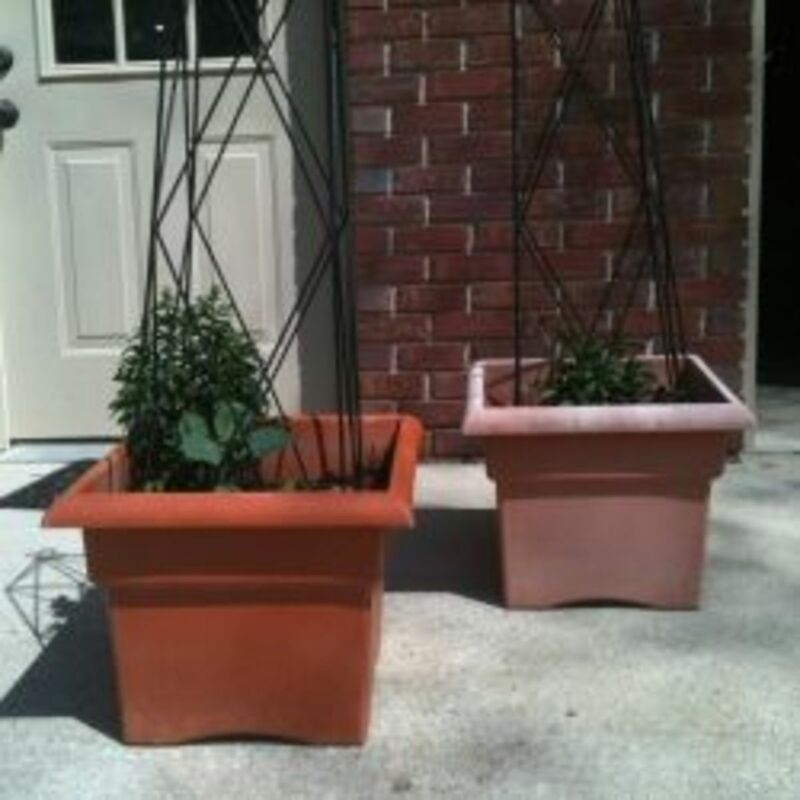 It is also great way to use the pots after your plants die and the pots are just lying around of no use. Love this idea. The bird feeder is simply beautiful and so easy to make. this is a wonderful and creative project that anyone can feel confident in doing. Great hub. Your daughter must have inherited your creativity. How clever! I love Terra cotta pots, and always like to see people use them in different ways. This bird feeder is so beautiful! Thanks for the great step-by-step tutorial. Very clever. Terra cotta is useful for so many DIY projects. Voted up, useful, awesome, beautiful, interesting and sharing. I love this idea of making a birdfeeder. This project reminds me of one I did years ago by gluing terra cotta pots of different sizes to make a nutcracker at Christmastime. He stood about 3 feet tall by the time I finished him. Sadly, he got broken!! Great idea! Voted UP, etc. and shared. I am so happy with it...and the birdies have begun to flock to it. I hope to have a second one to place out in the yard. Plant pots can be so expensive but terrra cotta is so affordable. And if you add some interesting paint techniques, you can really dress them up, as you have pointed out so well. My daughter is so clever. This looks beautiful on my front porch. I am waiting for the birdies to come enjoy. We have had a patch of bad weather and they are staying away....lots of heavy rain. DIY Birdfeeder: Use Terra Cotta Pots and Your Imagination is a wonderful hub so creative and beautiful. thank you, Suzanne. It is fun to have them on display too as many stop and comment and then I get to share those lovely comments with my daughter. I enjoy so much crafting with pots and have posted several hubs about them. I really like your arty style and the colours used are splendiforous! It can be really fun painting clay pots. I found one at an op shop once that had glazing on the inside and terracotta on the outside, so it was easy to paint with acrylics. Voted beautiful! You know I think it is one of those things you can make as easy or as difficult as you wish. The longest part of it is the time it takes for it to dry between paintings. I have it up for birdies now..am anxious to see them come and visit. This is a wonderful idea and it doesn't look that diffic ult make. I always have at least one bird feeder year round, but mine is started to come apart. I think I will try to make a bird feeder following your great instructions and thank you very much. I am sending angels to you this evening and hope you have a blessed weekend. Hi Connie So nice to see you. You are so right. It is a great way to recycle those pots. I have used old pots for other crafts as well. Give them as nice bath and they are ready to reuse. Hi VVanness Thank you. My front porch looks so happy with it on it. I have it sitting on top of column so that the birds will be flocking to it soon. It is, isn't it? I am so lucky. My daughter is always finding these clever things I will like. I think she is kind of close to being as creative as you are and I have found you to be one of the most creative and clever out here in cyberspace!!!!! I love this pstraubie! I am definitely doing this with my daughter. It will be beautiful on our deck with the birdfeeders. What a great idea! Hi purl3agony I know that squirrels can be a problem. Most of ours choose to munch on other things but that is not to say they won't discover this buffet!! Hi Heather thanks for visiting. Thanks for stopping by...you know I think I may be able to make one of these too. Thank you for stopping by Romeos Quill. It is one of my favorite pieces of décor on porch. I am so lucky to have a daughter who will go to so much trouble for me. You know this gives me an idea....I should make a chicken feeder for YOU... and the chicks and Bev. Thanks for stopping by....I will share your comment with my daughter who really deserves all the praise. Hi mecheshier It is unique that is for sure. I hope the little birdies like it as much as I do!! Nice to see you stopping by today. Yes you must. My daughter totally surprised me with this. I hope to be able to replicate her efforts. Nice to see you, dear friend. What a fabulous idea. I love birds. I feel fortunate that I live in an area where there are over 260 species of birds. I will definitely give this great idea a try. Thanks. Voted up for useful and awesome. I love this idea! Up and interesting and very useful! 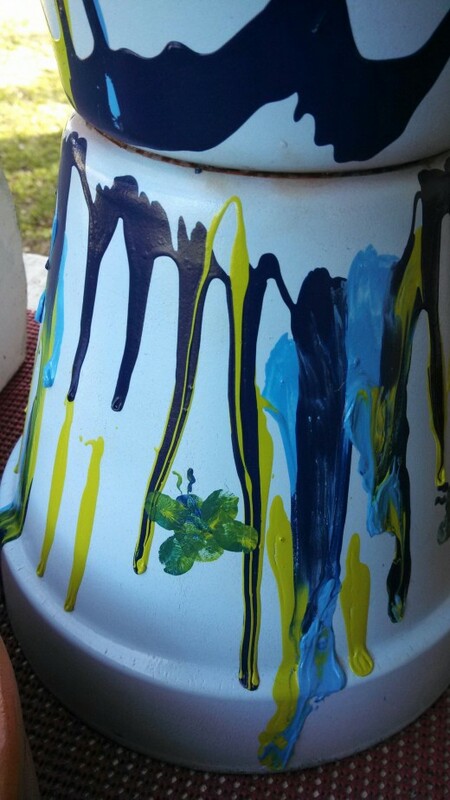 This bird feeder is so creative - I love the dribble paint and the children's hand prints!! Although we don't use open bird feeders in our yard (our squirrel would have an all-day buffet! ), I think I might use the same idea to make a bird bath instead. Thanks for sharing your idea! I used to do a lot of this a few years ago; time has become an issue and I got away from it. Thanks for reminding me of something I really enjoy doing. Wonderful examples and instructions my friend. Oh dear my love, did I tell you yet today that I love you? This is love on a Popsicle stick --- reuse, make pretty and use earthen things to make nature happy!! Out of the park homerun! You bring us joy and goodness. Oh my, my son and I will find some garage sale pots tomorrow and play with the day! Muchas Gracias from down border town way! Oh dear what colors shall we paint them? What rainbows and flowers shall we create? definitely hand painting with hand prints into flowers. Very artistic pstraubie, and such a kind thing to make for the wildlife; they're sure to appreciate this necessity during warmer climes, and certainly a great gift to give. Saw what looked to be the silhouette of a bouncing sparrow taking shelter under the garden bush earlier, as it started raining and hail-stoning earlier, so glad that I didn't cut back the bushes. Some good tips on how to create one on a budget, too. Happy Birthday dear friend! Your daughter did a fantastic job on your birdfeeder. I love using clay pots to make a birdbath as I did using Mosaic tiles. It is amazing what one can do with clay pots not doubt. Your gift turned out so beautiful indeed! Now, I must make a feeder to go along with my birdbath!